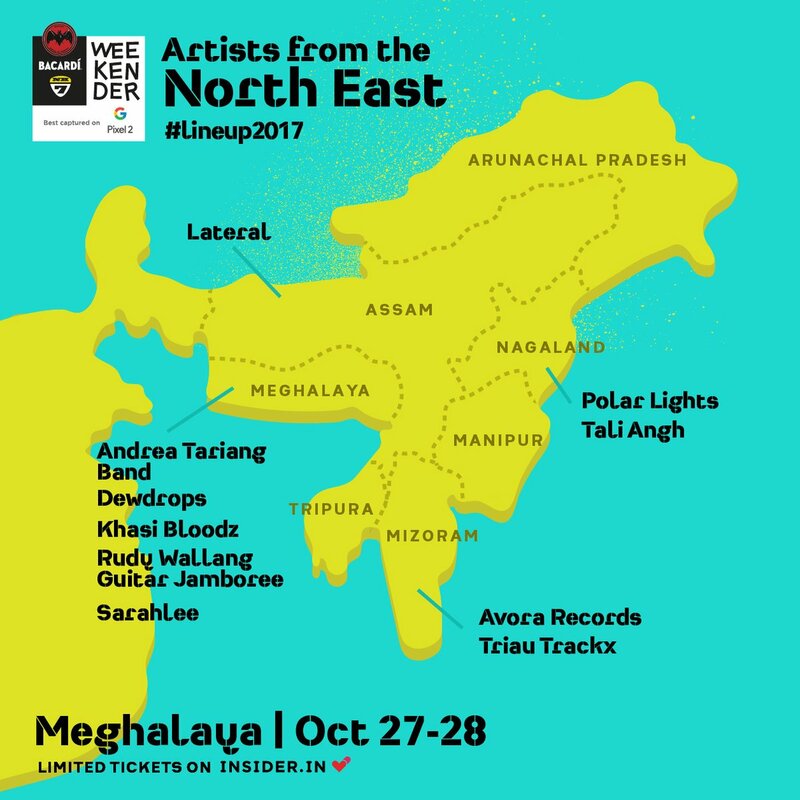 Are You Headed to Bacardi NH7 Weekender 2017 Shillong ? Folks! It’s time for another music festival in this beautiful part of the country – in the North East of India. 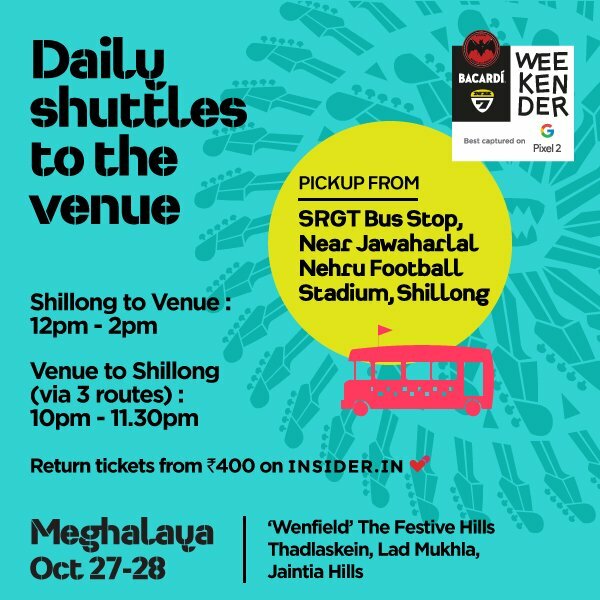 Brace yourself for BACARDI NH7 Weekender 2017 – the Shillong edition, to be held on the 27th and 28th Oct. Looks like many of us are headed to “Wenfield, The Festive Hills” – Thadlaskein, Lad Mukhla, in Jaintia Hills – the venue for the happiest music festival! What are our folks saying about the festival? In order to give you guys a good enough view of the festival – in terms of what to expect, we reached out to a bunch of festival goers, to share their experiences, and how they are planning for this year’s event. “One of the coolest events to take place in India hands down. Very well organized and very safe event – but nonetheless, be safe and don’t forget to enjoy! Keep a lookout for the local musicians – you will be amazed at all the talent India has – in every corner. 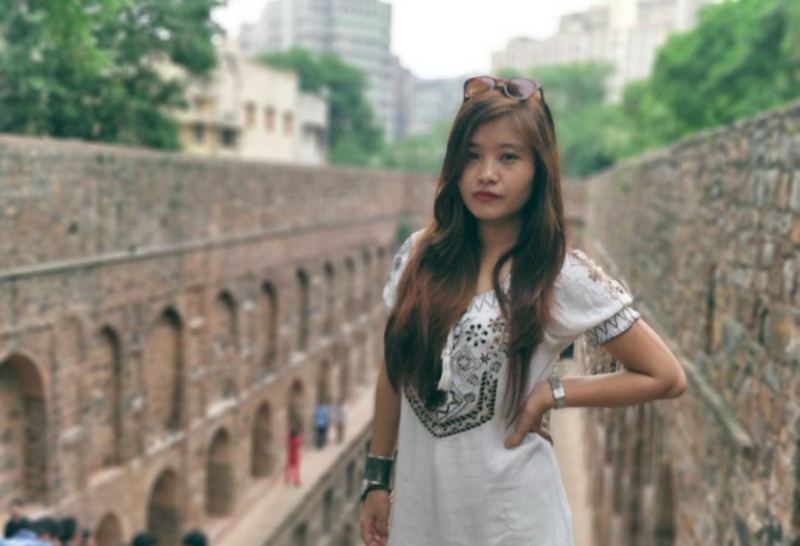 “I attended the first event in 2015. Planning to attend this year if I can work out the dates at my end. 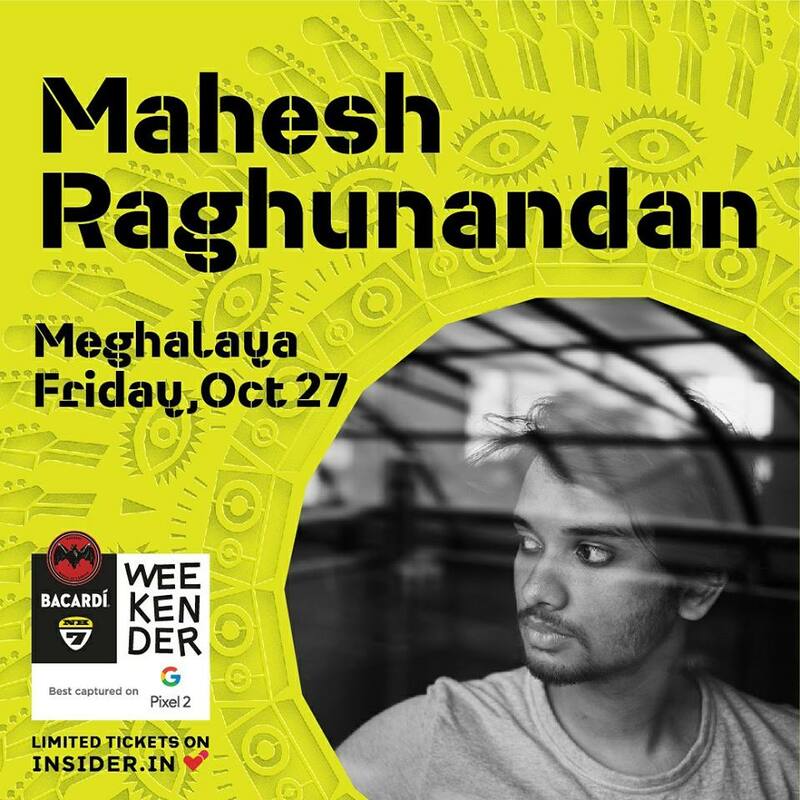 I love almost everything about NH7 Weekender – it is indeed the happiest music Festival in India, hands down! The ambience, the hip crowd, the various food stalls, the laidback but colourful decor, and especially the underrated artists that gets to perform excites me. 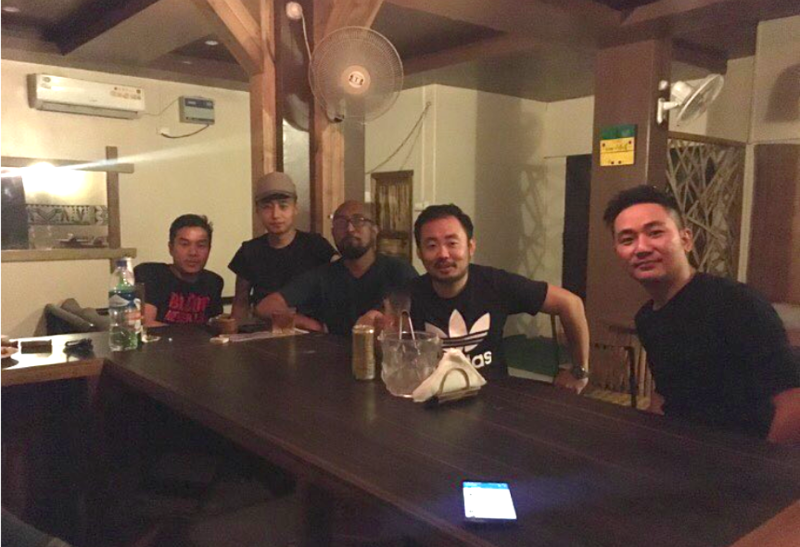 “I couldn’t attend the event last year or the year before. But friends and family of mine did, and they loved the whole experience of it all. The music, the people. They wouldn’t shut up about it This will be my first time attending Weekender. I’m excited to see the artists I love, Steve Vai is someone I consider divine and this is something unbelievable for me, to be given the chance to see Him play. This is the time to get creative with your outfits. Wear your most stylish outfit – that is uniquely you + comfortable. Don’t worry about being overdressed/undressed – awesome crowd, so you’ll feel comfortable wearing anything! If you love dancing, do not miss the EDM stage. You will feel like you are in Ibiza. Finally, just be yourself and have a blast! Get your tickets HERE. See you at the Festival!